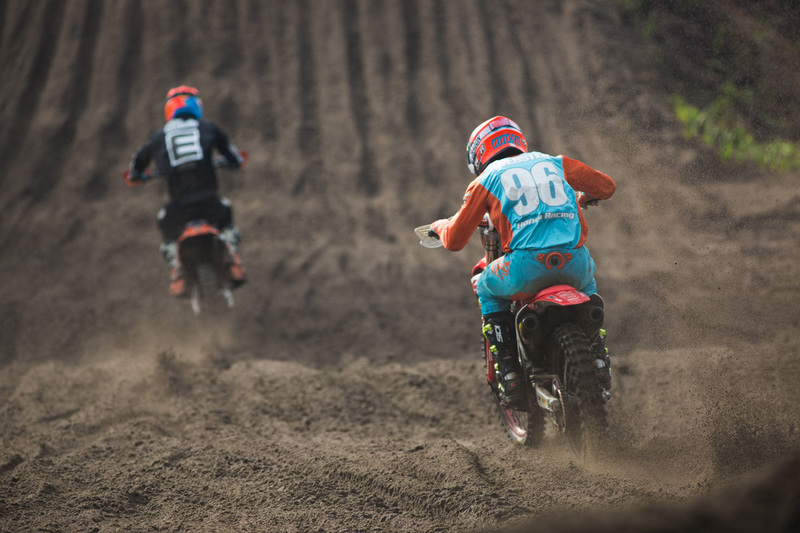 The Manjimup 15,000 is widely considered as one of the most prestigious motocross events in Australia outside of the MX Nationals, each year it continues to attract the best riders in the country for an unforgettable weekend in Western Australia’s stunning southwest region. In this latest Top 10 feature, we take a look at our favourite moments from the 2018 edition at the Cosy Creek circuit. The most memorable moment from this year’s edition of the Manjimup 15,000 was witnessing CDR Yamaha Monster Energy Team’s Dean Ferris float through the incredible Cosy Creek circuit and earn his maiden triumph at the event. Ferris was mostly unstoppable, conceding just one of the four motos to Kirk Gibbs (KTM Motocross Racing Team), who was contesting the Western Australian race for the sixth time in his career. 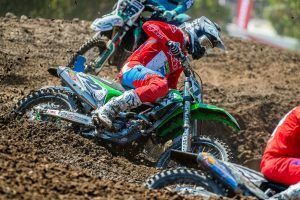 The opening round of the Australian Women’s motocross championship was held in conjunction with the 15,000 for the first time, and the category delivered the best racing of the weekend. Competitive trio Megan Rutledge (Kawasaki), Maddy Brown (Yamaha) and Jess Moore (KTM) battled in the every single outing, however it was Rutledge who would stand atop of the podium with three race wins to her name. Hosted in the middle of the day, the all-stars shootout is always a crowd favourite. 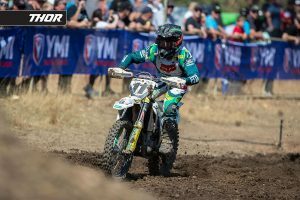 Following a process of elimination, the final one-lap moto would see Ferris and Gibbs face off along with Western Australian Jayden Rykers (Raceline Pirelli KTM). Ferris piloted his YZ450F to the hole-shot, and from there he led Gibbs and Rykers to the flag despite their best efforts. A list of MX Nationals regulars made their way over to Western Australia, with a select few electing to step up to larger machinery for the event – a clear advantage on the fast-paced circuit. Kyle Webster (CRF Penrite Honda Racing), defending Australian MX2 champion Egan Mastin (KTM Motocross Racing Team) and Rykers all piloted 450s, finishing third to fifth in that order. The Manjimup 15,000 is known to bring out a host of international riders from all areas of the globe, however this year’s selection failed to make an impact at the pointy end of the results sheets. Belgian Damon Graulus (Suzuki) looked strong early on, although a heavy crash in race two sidelined him for the remainder of the day, while countryman Junior Slegers wound up fifth in the MX2 division, which was run all-in with the MX1 riders however scored separately. 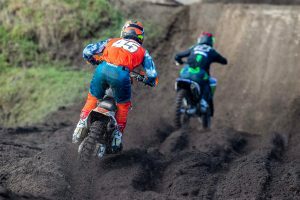 Along with the opening round of the Australian Women’s motocross championship, the national Veterans and Masters titles were decided at the Cosy Creek circuit. Local Western Australian Stevie Heilers (KTM) dominated the Veterans class with four commanding victories from as many starts, while multi-time Australian champion Craig Anderson (Honda) prevailed in the Masters division. For the second year running, Australian Superbike Championship (ASBK) regular Bryan Staring traded his road bike for a motocross bike and contested the Manjimup 15,000. This year he contested the Veterans championship and concluded the weekend second overall. It’s an absolute pleasure to watch Staring’s effortless style on a motocross bike, a discipline in which he found great success in during his junior days before transitioning to road racing and ultimately making it to the pinnacle of the sport. Kyle Webster always steps it up for the Manjimup 15,000, and 2018’s instalment was no different. The Western Australian-raised contender pushed his way to third overall with a huge crowd behind him, lodging 3-3-6-4 race results. The 22-year-old faced strong competition of Ferris and Gibbs, but he also had is hands full with Mastin, Rykers and Connor Tierney (Yamaha). Current MX Nationals MXD rookie Mat Fabry (Yamaha) and Bailey Malkiewicz (WBR Bulk Nutrients Yamaha) both elected to remain aboard 250 machinery, fighting their way in the combined result against the 450s, each lodging highly-impressive results throughout the day. Fabry topped the MX2 results sheet ahead Malkiewicz and older brother Jayden Fabry (Yamaha). The Manjimup 15,000 is a favourite for Western Australians, so it’s no wonder why over 500 entrants made their way to the long-weekend event. 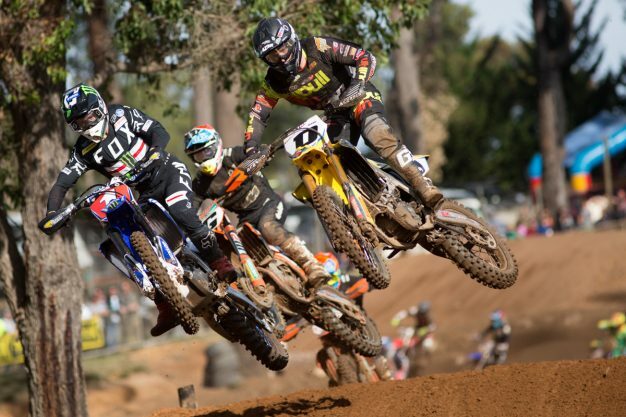 Manjimup serves more than just a opportunity to race one of the greatest circuits in the world, it’s a weekend that people pencil year after year and continue to create memorable moments that they’ll never forget – there’s just something about Manjimup that makes it incredibly special.